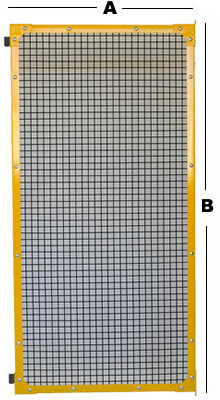 Below you will find our 2000mm (height) left hand opening 1x1" welded wire mesh Hinge Panels used in Machine Guarding applications. Small hinges (shown below) allow the panel to be setup to in various configurations. These powder coated panels are also used for Perimeter, and Robot Guarding applications. 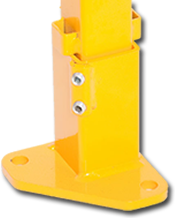 Our Hinge Panels are available in widths of 300mm to 2300mm.